The great thing about being gamers is that developers regularly transport us to new and exciting locations, both fictional and non-fictional, without us needing to fork over tons of cash for a plane ticket and an overpriced hotel room. Sure, it’s not the same as an actual vacation, but there are a lot of similarities there and the unknown element is one of this medium’s major attractions. After all, it’s evident that we all enjoy becoming someone else and getting to live in another world, or else we wouldn’t spend our time with these digital adventures. This morning brought with it some great news for all of us digital vacationers, as Ubisoft’s CEO, Yves Guillemot, publicly stated that it won’t be another four years before we receive another visceral Far Cry game. As you’ll recall, that’s pretty much the exact amount of time that passed in-between Far Cry 2 and last year’s phenomenal first-person adventure, Far Cry 3. However, the publisher expects to avoid creating another lengthy hiatus, thanks to the most recent title having sold “way better than expected,” with 4.5 million units shipped thus far. 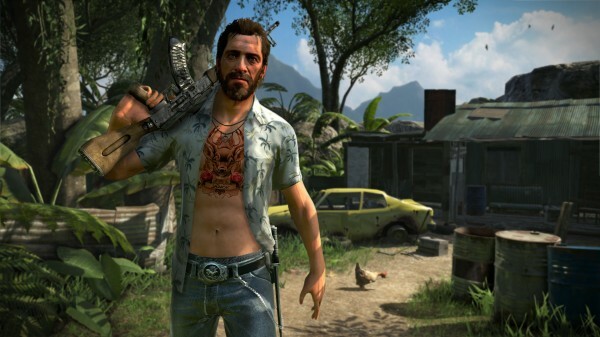 Since its December release, Far Cry 3 has received an incredible amount of acclaim from critics and the general gaming public, and it’s well-deserved. In fact, the game is so good that it earned some Game of the Year nominations. As such, it doesn’t come as a surprise that Guillemot and company want to continue that success in the relatively near future, though the exec didn’t shy away from pointing out that the Far Cry franchise’s lengthy hiatus could have helped boost its latest iteration’s sales figures.